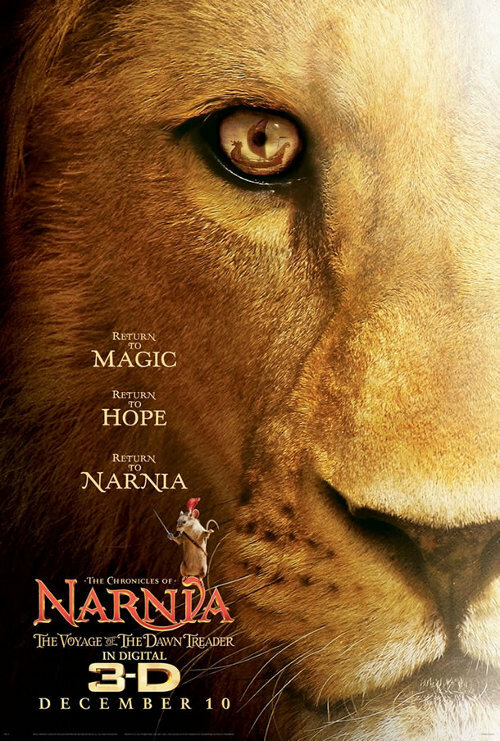 I had the opportunity to see the latest installment of the Chronicles of Narnia yesterday and am happy to say that I liked it – quite a lot. 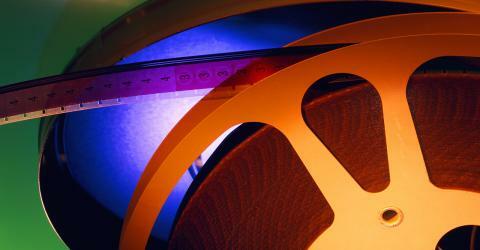 The 3D fantasy film is visually stunning and the narrative very close to the original story. If I said something like the seven deadly sins and their opposites in virtue, would I be revealing too much? Faith, reconciliation, love, and family? Oceans, islands, and mists, ah ha! A lion, dragons, and mermaids, ah ha! If I said that the return of the beloved talking mouse (Reepicheep) is the most entertaining example of anthropomorphism I have seen this year, what would you think? And that the young actor (Will Poulter) chosen to play the irritating cousin Eustace was a brilliant casting choice? Then let me jump ahead to the closing song “There’s a Place for Us” sung by Carrie Underwood over the final credits backlit by original illustrations from the first print edition of the C.S. Lewis classic. Would you stay until the last credit rolled? I did. Watch this space for a review on December 10, the film’s release date.